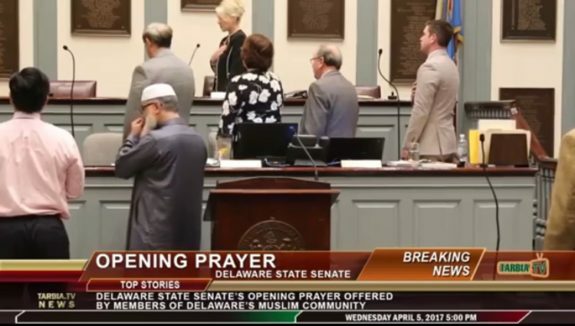 This is the state senate in Delaware, in the UNITED STATES, opening with an Imam saying an Islamic Prayer. WAKE UP, AMERICA! WHAT THE HE– DELAWARE!!!!! WHAT ARE YOU THINKING!!!! !